09-FirehouseSanta-2057, originally uploaded by Kadath. 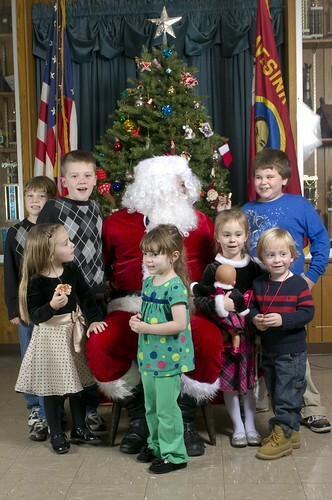 Santa made his yearly journey to Navesink Hook and Ladder Fire Co. #1 this weekend. The kids got some treats, sang songs and donated presents to Toys for Tots! Jonas Brothers at the Giants game!